In the 12 years I've been actively watching birds I’ve often found myself intrigued - and sometimes confused - by some of the names, both common and scientific (Latin). Currently in the midst of a top secret bird -related project, I've had a chance to go over the complete A.O.U. checklist and, along with some I've known about for a while, found a few interesting names along the way. At times one has to wonder what went/goes into the thought process in naming some species. Some common names, of course, are very descriptive choices. 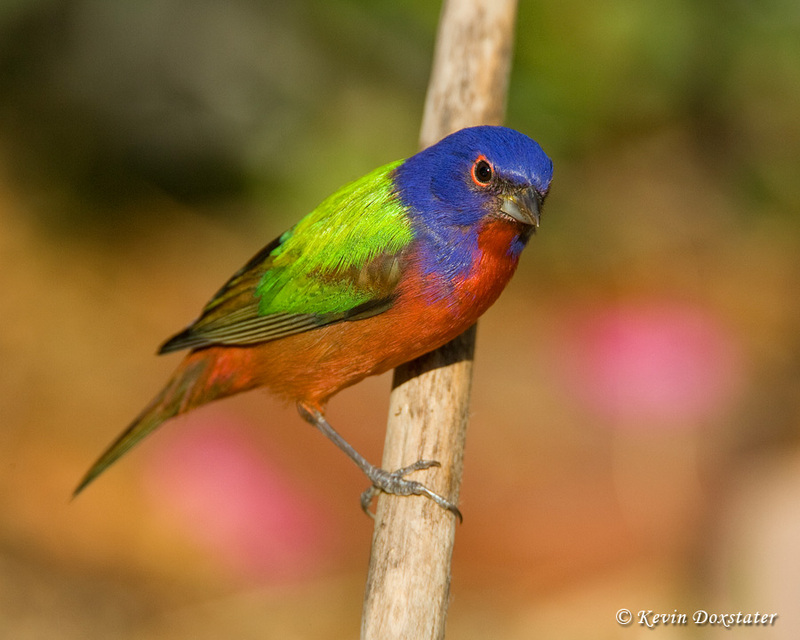 Who could argue with the appropriately named Painted Bunting or Vermilion Flycatcher? Some names are based on the sounds they make: the chickadees, Great Kiskadee, and Killdeer are just a few examples. Some common names, on the other hand, are a bit silly, the Clark’s Nutcracker (Nucifraga Columbiana) being one example. This species uses its large bill to open up pine cones to extract the seeds -which it then stores away by the tens of thousands for the winter and, to my knowledge, doesn't make a habit of eating nuts (at least as part of their natural diet). But I suppose “nutcracker” has a better ring to it than “seedstorer” or some other name that describes the species' behavior. One of the worst examples almost certainly has to be Worm-eating Warbler (Helmitheros vermivorum), a species that gleans insects from the leaves or bark of trees and rarely, if ever, eats worms. Quite a few, of course, are simply named after people, but, if you weren't aware of the protocol, the "discoverer" of a species would never give it their own name -that job would be handled by some ornithologist later on. 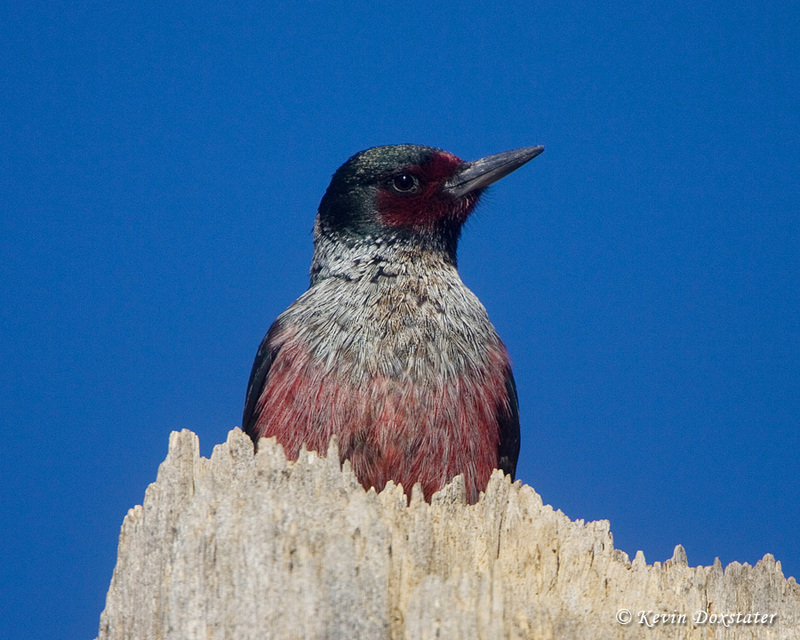 Take the two species named after Lewis and Clark, for example: Lewis didn't name a woodpecker after himself and, likewise, Clark didn't name the “Nutcracker” after himself. 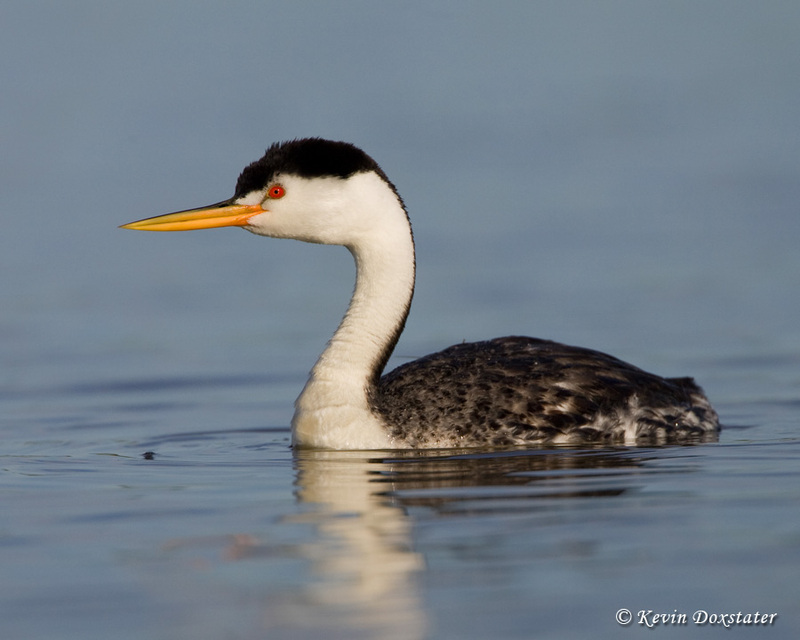 Those names were chosen later on by a 19th century ornithologist in their honor (I used to think Clark’s Grebe was also named after the explorer, but it’s actually named after American surveyor and naturalist John Henry Clark). Frequently, birds are named after the discoverer as in the examples above, but sometimes names were (are?) used to honor a friend or a member of a friend’s or discoverer’s family. 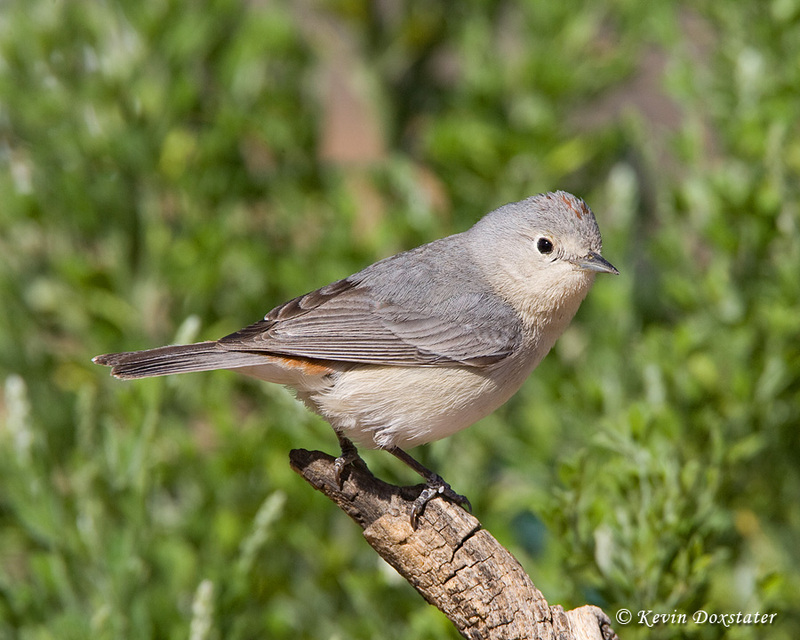 Lucy’s Warbler is named for the daughter of Spence Fullerton Baird (of Baird’s Sparrow and Sandpiper fame), while Virginia’s Warbler is named after the wife of the man who discovered the species. Quite often the person’s name is latinized and used in the scientific name also and, other times, you’ll just find the person’s latinized name in the scientific name and not in the common name. Going back to Baird for a moment, the (almost certain to be extinct) Cuban Ivory-billed Woodpecker’s scientific name is Campephilus principalis bairdii, the “trinomial” or subspecies designation, honoring Mr. Baird. You can certainly have fun with some of the scientific names, too. Sometimes you can find an explanation of the name, but in others maybe it’s best just to let your imagination run wild. 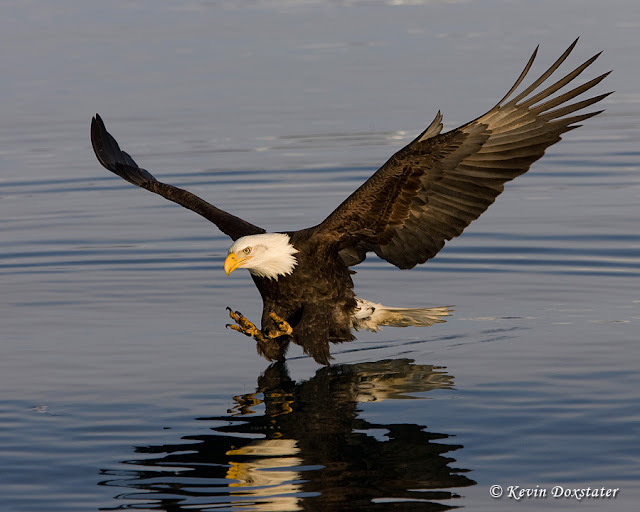 A few examples of the former include Bald Eagles, where Haliaeetus leucocephalus roughly translates to “White-headed Fish Eagle” (Hali, according to Wikipedia, is actually “salt,” aeetus is “eagle,” leuco is “white,” and cephalus is “head”). From there it's easy to figure out that, in the case of the White-crowned Pigeon, the scientific name, Patagioenas leucocephala, also refers to its white head (my best guess is that the genus name, Patagioenas, is referencing the fact most members of the genus are from South America - think Patagonia). The source of the species name “gentilis” for Northern Goshawks (Accipter gentilis) is probably the word “gentile,” but the word that immmediately springs to mind for me is “gentle”- and I can’t imagine a poor rodent or small bird about to be eaten describing the goshawk’s behavior in that way. While the male’s vivid color is used descriptively in the common name, the species identifier in the Cinnamon Teal’s scientific name, Anas cyanoptera, refers to the blue patch on this duck's wing. Seems kind of confusing, however, that while "cyanoptera" is used for the Blue-winged Warbler (Vermivora cyanoptera - formerly V.pinus), it is not for the Blue-winged Teal, but used instead for the Cinnamon Teal. Greater Prairie-chickens also have an interesting and descriptive scientific name, Tympanuchus cupido, a name that refers to the booming sound the males make during their courtship displays - I'm thinking tympani and cupid, of course. I could really go on for a while with this stuff and maybe we’ll revisit the subject a few months down the road. For now, I will leave you with these to think about: Do you wonder if the Shy Albatross (Thalassarche cauta - Southern Ocean) and Sad Flycatcher (Myiarchus barbirostris - Jamaica) shouldn't start hanging out with the Social Flycatcher (Myiozetetes similis - Central America/Mexico) and Happy Wren (Pheugopedius felix - Mexico) – maybe life for them would be a lot more fun and they'd no longer be shy or sad! wonderful post Kevin, very fun and informative. I like word derivation and never realized all the interesting info playing what's in a name. Lovely images Kevin and a fun way to share information about the names of birds. I like the photos but the Bald Eagle is really my favorite of them all. There's absolute no consistency in bird names - see my current post on laughing gulls - but often, as you make clear, reflects ambition, vanity, one-up-manship... it makes no sense trying to bring order into it where none exists. Very frustrating at times, especially when you read about it in the now sadly defunct Bell Tower Birding. This was a very informative and entertaining post with wonderful photographs to boot. I've often wondered about the origins of bird names, and been flat out of ideas for naming any species I discover. This helps! I enjoyed this post Kevin. When I was teaching zoology I liked to come up with strange/funny examples of binomial nomenclature. One genus name that has always brought a smile to my face is Bugeranus - genus name for the Wattled Crane. Great blog - and sensational photos. Awesome post Kevin. Fantastic photos and really enjoyable discussion about the bird names. I'm still wondering about the scientific name for the Ruddy Duck: The genus name is oxyura. Am I correct in the definition of oxyura and oxyurinae being "pungent urine"? If so, I wonder what the history behind that is. Great post and spectacular photos Kevin! I so enjoyed reading this wonderful informative, interesting, fun post! The photographs are out of this word! Thanks to each of you so very much! It was fun to write (most of it done the other day while nearly a foot of snow was falling - ugh) and, of course, making images is always a fun way to spend time with birds . . .
Oh my gosh, Kevin. Your photos are inspirational! So gorgeous...and a fun post too! A great post on a long needed subject.